1) A ruleset where the ball times match the rule depth. Basically, the ruleset has to equal or be greater than the play time or you’ll get bored. Lord of the Rings has long ball times and super deep ruleset, so they go together well. Iron Man has short ball times and not a super deep ruleset, so it goes together. The problem occurs when you have a game where you can keep the ball alive forever and you end up repeating the same game over and over. Terminator 2 might be a good example of that. One of my favorite games on location, at home though you quickly see everything the game has to offer. 2) Reliability. If you’re not technical, some games like Twilight Zone can be a nightmare to keep running over a long period of time. In general, games with less use are more reliable, games with less stuff break less, and ones that are newer usually have less issues. Basically, if you bought a used Addams Family pinball machine and a used Iron Man, you could pretty safely assume that the Iron Man would have less issues because it’s newer and has less stuff to break on it. 3) Theme you like. If you’re going to put it in your home, it needs to be something you’re interested in. Don’t buy a Medieval Madness just because it’s rated highly, buy it because that’s a top theme for you personally. It can also be a trap, as a lot of games with awesome themes aren’t actually that good (like Avengers). Here are the games I would recommend for home use below. I included affiliate links to the games on ebay, as honestly that’s the best way to buy games like Medieval Madness. Use the ebay bucks + rewards credit card to get $100 to $200 back. Add on Ebates and get another 2% back as well (full disclosure, if you sign up for Ebates through that link and make a purchase, I may possibly get a referral bonus…but hopefully you’ll like saving that extra 2%). Add them all together and you can save 5% on an $8000 game, which is $400. If you have any other tricks, let me know and I’ll add them here for other users to see. Medieval Madness pinball machine. Generally considered to be one of the best games of all time, it also has a good ruleset and ball times to match. It’s biggest drawback is cost, it’s likely going to cost you $8000 or more even for the remake. The good thing is that with the remake there are tons of them around so finding one isn’t a problem at all. The originals and remakes have kept their value steady around $8k the past couple years so they’re not really increasing or decreasing in value. The castle is probably the coolest thing ever put on a pinball machine. AC/DC Premium pinball machine. One of the best modern Stern games, it has a unique ruleset and fast action. It’s definitely very difficult to make it to wizard mode, making it a great game for home use. These are currently available new for around $7000 but probably won’t be for long. Stern generally produces games for a few years off and on and then they exit the production line forever for the most part. 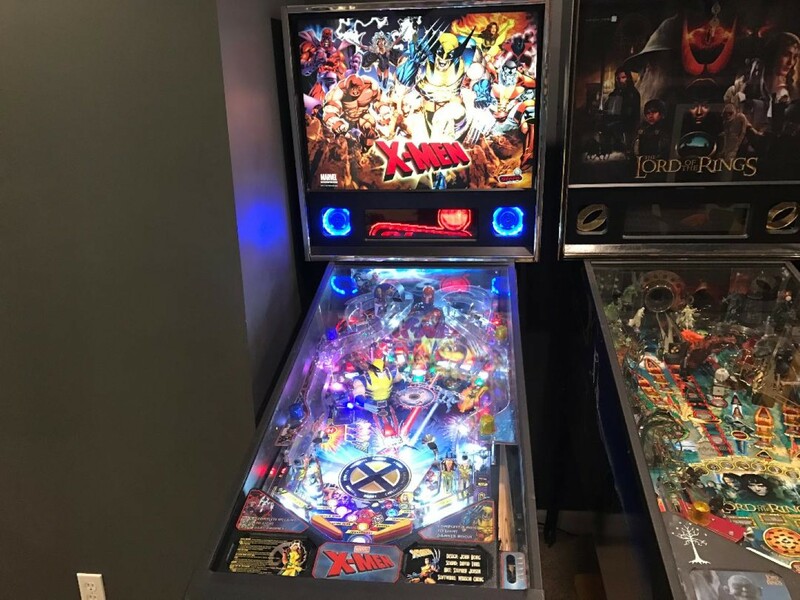 AC/DC was one of the key machines in the pinball resurgence that started around that time it came out in 2012. I’ve had my game since I bought it new in the summer of 2012. I highly recommend adding a shaker motor to it as well. I do own this game by the way. Twilight Zone pinball machine. Also considered to be one of the best games of all time, it has more toys than almost every other game. The ruleset is decent but isn’t nearly as good as some more modern games. Probably going to cost at least $6000 to find one of those. Reliability might be the only question here since it has so many toys on it. It has the gumball machine which is super cool, the power field with two magnets for flippers, the powerball ceramic ball which just flies around the playfield, and a giant clock in the back that times the modes and other things depending on what’s going on in the game. Attack From Mars pinball machine. The predecessor to Medieval Madness, it has a simpler ruleset but some may say it’s more fun than Medieval Madness (including me). The cheapest of the new remakes is $6500 but most people would go with the SE option at around $700 more. Attack from Mars is game of hitting each of the major shots 3 times for a mini wizard mode plus trying to destroy all of the aliens attacking world cities. It’s a very fun game for all ages and can be very challenging especially for new players. It doesn’t have many toys but the shaking aliens and middle saucer provide a lot of satisfaction when you hit them. Iron Man pinball machine. It doesn’t have the deepest ruleset but it has very short ball times and has a great ‘one more game’ feel to it. I owned one for a long time (5+ years) and it was great to own, probably still would if I had more room. It can be had for $4500 to $5000 currently. It comes in two flavors, the original game from 2010 and an updated vault edition in 2015. There’s a debate on which one is better, I personally like the older model better. To me it has the better cabinet head of the two but doesn’t have the updated decals of the VE, so it’s kind of a give and take. Metallica pinball machine. Has a great ruleset and is very fun to play. If you like the music, then it’s great to own at home. $5000 is what it will probably cost you to own for the pro, the premium or LE will be $6500 or more. Most people favor the pro on this model since most of the things on the premium and LE don’t add that much fun factor and in the case of the hammer, can add a bunch of frustration. The hammer on the upper models obscures your vision from being able to see the ball and a lot of times doesn’t hit the ball into the lock like it’s supposed to. The Walking Dead pinball machine. This game originally wasn’t well liked, but after the software was finished it shot up to a premiere game. I really enjoy this game a lot even though I dislike the theme. $4500 to $5000 is about what it would cost. Most people go with the pro on this one because the premium features don’t add a whole lot for the money. The main missing feature that pro owners want is the walker bomb button, you can use that in a lot of modes that can help you get super high scores. Lord of the Rings pinball machine. This game is one of the best games of all time with fantastic code, great shots, and killer theme integration. It costs about $5k to $6k normally and worth every penny. It’s only downside is that after you own it for a while, the game times get to be really long, up to 45 minutes for really good players on a roll. I recently bought one again for the second time after running through a bunch of games over the years, decided it was one I wanted back for good. The Simpsons Pinball Party pinball machine. Just like Lord of the Rings, The Simpsons is a fantastic game that has killer theme integration and tons of fantastic code. Like Lord of the Rings, it’s only drawback is that game times can be super long after a while. I think the code on it is even stronger than Lord of the Rings but the music can be a little annoying after a while sometimes. Star Trek: The Next Generation. 7 modes that must be complete in order to make the wizard mode worth lots of points, a bunch of multiballs and great flowing shots. Not quite as difficult as some of the games above which is why it’s on the secondary list. Spiderman. 5 different modes, a bunch of multiballs, and great callouts. Bland modes and main multiball hold it back some. X-Men. 7 modes, 8 hero modes, ton of code here for the money. Bad voice callouts and a wolverine toy that’s too big hold it back some. Tron. Game like Iron Man only slightly easier in my opinion. Has a geometry problem on the ‘Gem’ shot which makes it a constant blocker in home use. Wizard of Oz. This game could be higher except for reliability issues hold it back. Depending on when the game was built and what kind of fixes it has, it can either be very reliable or trouble prone. Stargate. This game has a great ruleset, a great theme, and is reasonably priced. There really aren’t any drawbacks to it other than replacement parts are hard to get and expensive compared to other games. Jurassic Park. Has a great ruleset, a great theme, and one of the best toys in pinball, the dinosaur that eats pinballs. The first mode always starts at Stampede which can get a little old after a while. The Shadow. Like the others, has a great ruleset and also a great playfield to go with it. Ramp shots that you can control the direction, great battlefield toy, horrible theme. 🙂 If it had a better theme it would probably be a lot more valuable. NBA Fastbreak. This isn’t one you’d see on many people’s lists, but people who are really into pinball usually aren’t into sports. Hence why almost all sports game are super cheap compared to games of a similar age. Kids love this game, it’s easy to understand and very difficult to win multiple championships. Bram Strokers Dracula. Like the Shadow, a good game with a horrible theme. Unlike the Shadow though, it doesn’t have a deep ruleset, it has a very shallow ruleset that depends on the game being setup very hard. A lot of the collectors in my area own this game, which is a testament to its staying power. Monster Bash. It basically has the same ruleset as Medieval Madness and Attack from Mars only easier. Most people get tired of it a lot faster than those other two. I’ve had multiple friends who got rid of it within a year of acquiring it. Tales of the Arabian Nights. Very shallow ruleset, it’s very easy to reach the wizard mode. Also the shots aren’t the most satisfying on this game outside of the ramp. Scared Stiff. A little too easy for most people. Once you get the main shots down, it gets fairly easy to reach the wizard mode. Theater of Magic. Beautiful game but I think there are much better choices for the price. Cactus Canyon. Game was never really finished, super expensive. More of a collectors piece than anything else. The shots are super fun actually, just not a complete game. Hopefully this has helped you determine the best pinball machines for home use. I know that when I started out it was a struggle. I had to do a TON of reading and research to figure out exactly what to get. One problem I had that a lot of you also probably have is budget. It’s one thing to spend $1000 on a pinball machine, but when some of them are getting up to $8000 or more that starts to get a little ridiculous. Luckily most of the older ones keep their value pretty well. It’s mainly reducing your available cashflow than losing the money outright through depreciation. Use coupon code GAMEROOMINFO to get it for $9.99 for a limited time. Also, there’s a 30 day money back guarantee, so if you don’t like it you can totally get a refund.